A fireworks display of a bouquet that's guaranteed to impress, whatever the occasion! 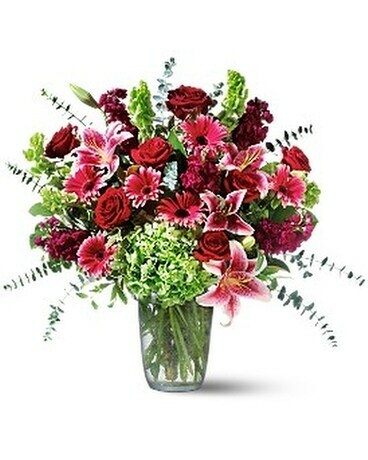 Red roses, deep pink lilies and gerberas and pale green hydrangea mix with a variety of fresh blooms to create a magnificent arrangement that's nearly two feet tall, and just as wide. Simply beautiful.